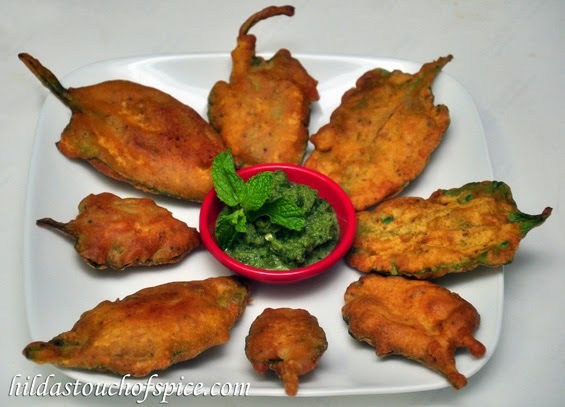 Palak Pakora (Spinach Fritters) are a delicious snack which can be enjoyed throughout the year but taste awesome especially during the monsoon season and cold winter months. It can be enjoyed as a tea time snack with a hot cup of tea, at breakfast, lunch or dinner. It is best eaten hot with your favorite spicy dip or chutney. This recipe is with whole spinach leaves. The batter has spices which aid easy digestion (ajwain, jeera & asafoetida). Enjoy these sinfully, crisp spinach pakoras smothered in gorgeous chickpea batter. 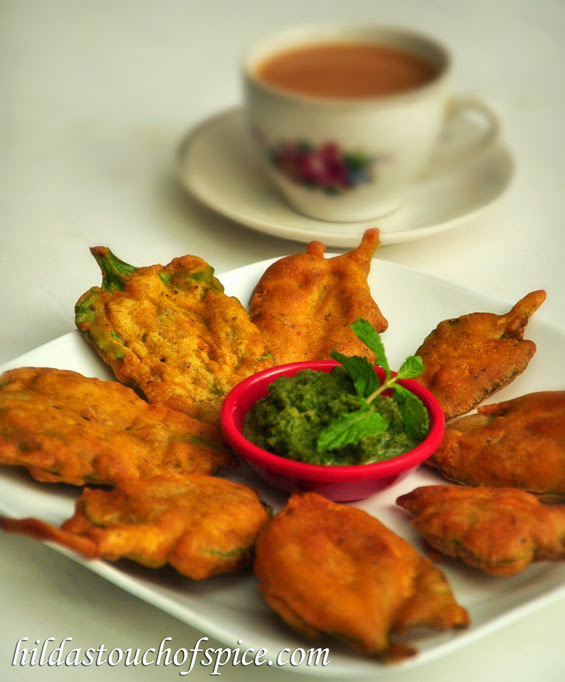 These spinach pakoras are simple yet so quick and easy. ½ tsp. roasted Jeera pwd. If using a bunch of spinach, first pick tender leaves with 1 cm stems or as seen in the pic. It is preferable to use small and medium leaves. Wash, drain and dry the leaves thoroughly. You may use a salad spinner if you have one and then use an absorbent kitchen towel to wipe them dry. Whisk with enough water to form a smooth batter without lumps and of medium thickness consistency. The trick is to use a little water at a time to reach the desired consistency of the batter. Remember it should be thin but thick enough to coat and hold on to the spinach leaves. Keep the prepared chickpea/besan batter to rest for about 10 mins. and then whisk lightly to lighten the batter. For deep frying, heat cooking oil in a wok/kadhai. Test by dropping a few drops of batter; it should immediately rise to the top. Reduce heat to medium. Dip to coat each spinach leaf in the batter. Drain off excess batter & gently slide in each leaf into the hot oil. Depending on the size of the wok, deep fry 2-3 battered leaves at a time. Always fry in small batches. Gently baste the top of the leaves with hot oil till it puffs up. Turn them occasionally. Fry on both sides until crisp & lightly golden. It takes about 3-4 mins. Drain the excess oil & place on absorbent paper. Serve hot with your favorite dip/chutney/sauce at tea time.